Beautiful article. When I was growing up in the 1960's, my Hungarian-origin shul was still using the 1930's era Philips machzorim for the Shalosh Regalim, with piyutim. My chazan grandfather set great store in them, but they were quietly mumbled at best by most of us, and to my relief, my father assured me that I could skip the especially lengthy and complicated passages. At some time in the seventies, as best as I can recall, the old machzorim were replaced by the Birnbaum edition, which eliminated almost all of the piyutim. They thus automatically disappeared from our davening without a whimper of protest from anyone. The only shul I've been to since then that has faithfully kept up the piyutim for the Shalosh Regalim is my brother's in Bridgeport, Connecticut, even though most of its old-timer Hungarians are gone. This brought back fond memories of Mr. Max Sulzbacher's home based business, which was the only seforim store in Golders Green when I was a young child. He was a cheerful man with a thick TCHERMANN accent, and his address was 2 Sneath Avenue. 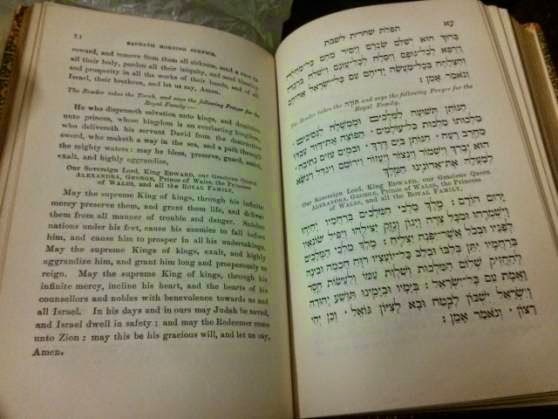 He liked to consider himself a collector and dealer in valuable used Hebraica, but was also a source for the usual needs of the local frum community, sidurim, chumoshim, Kitzur Shulchan Aruch and basic commentaries. For more serious works one had to go to Hochauser in Stamford Hill. There was also an old seforim outlet in the East End, Zeilingold, I was never there but it functioned until some time in the 1960s. I believe that in the early years, Mr. Joelsohn, who had owned a seforim and taleisim business in Hamburg continued it on a small scale in Golders Green. Reb Yochanan Hochauser was an amazing expert in antique and modern seforim, I believe that he had been librarian at the Rabbiner Seminar in Berlin before the war, and I have wonderful memories of his explanations of the history of every sefer in his home business. His son had a shop on Manor Road which was much more like a modern business, whatever was in demand with official hours and no free education included. My grandparents a"h davened in Bikur Cholim in Bridgeport. I remember on a visit for yom tov as a child (some time in the mid to late 70s) there was a huge to-do when the shliach tzibur decided to skip the maarivim (though if I remember correctly, my father called them maarovos). Much later, when I would call my grandmother after yom kippur she would always comment, "In our shul there is no time for breaks -- they say every single word in the machzor!" Yes, Bikur Cholim is the shul I was talking about. Also unusual for a litvishe yeshiva, Beth Medrash Govoha ("Lakewood") says kerovos for 4 parshios & Shabbos hagadol, but after, not during, chazaras hashatz. They say musaf for 4 parshiyos, and the krovetz for Purim, in the proper place in chazaras hashatz. From what I remember, they don't say the krovos on yom tov, but they do say Brach Dodi on Pesach. Also, they say the ofan on Rosh Hashana and Yom Kippur. I find the candle lighting times, with 30 minute jumps in early spring a bit odd. Piyutim were discarded by CR Adler in his modifications of 1980, and those modifications were incorporated into the new siddur, Singers. "They say musaf for 4 parshiyos"
I presume you mean shekolim and hachodesh, because the other two were dropped in Ashkenaz about 700 years ago. They can be found only in a limited number of early Ashkenaz manuscripts, although they are preserved in minhag Romania (Greece), where they were recited for all four of the 4 parshios at mincho of the shabbos before. Do they say Brach Dodi inside? What about the ofan on yomim noraim? Did they say just the ofan and not the guf yotzer? Thanks for the info. Very interesting. Haven't been there to see -- I'll have to check with my brother. Do they say Brach Dodi inside? Did they say just the ofan and not the guf yotzer? Correct. They do say the modified beginning of the yotzer or bracha, but then skip the guf yotzer. I once heard from an old Lakewood talmid with respect to another "unusual" piyut said in BMG on R"H and YO"K -- the piyut immediately before shacharis kedusha -- that R' Aron Kotler felt because of the stature of R' Elizeier Hakalir the yeshiva should say all his piyutim on R"H and YO"K, but then they would never finish davening so he had to limit it to this one (in other words, m'at b'kavanah...). That may also explain why they skip the guf yotzer. Saying Brach Dodi inside - I mean in its original place before goal yisroel, as opposed to some yeshivishe places who say it after shemone esrei. Yep. They say Brach Dodi as printed in the machzor, before goal yisroel. 1) In footnote 11, I was referring to the recitation of oleinu in general at mincho when maariv is followed immediately. 2) Weekday maariv b'zman (except motza"sh) have 3 pirkei tehillim with kadeishim after them. 3) I am aware that R' Hamburger and several sources indicate that there were no pesukim in oleinu, but it is not clear to me how universal this practice was. [Note also that Divrei Kehillos (http://hebrewbooks.org/pdfpager.aspx?req=6822&st=&pgnum=37) says that there is no kaddish after oleinu, but does not say where to end.] 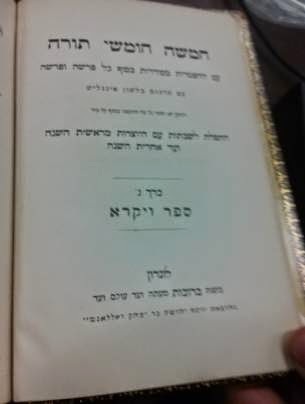 Several old siddurim have at least the first posuk (Hashem yimloch l'olam vo'ed), see for example siddur R' Eliya Bochur http://hebrewbooks.org/21244, which is clearly Western Ashkenaz. 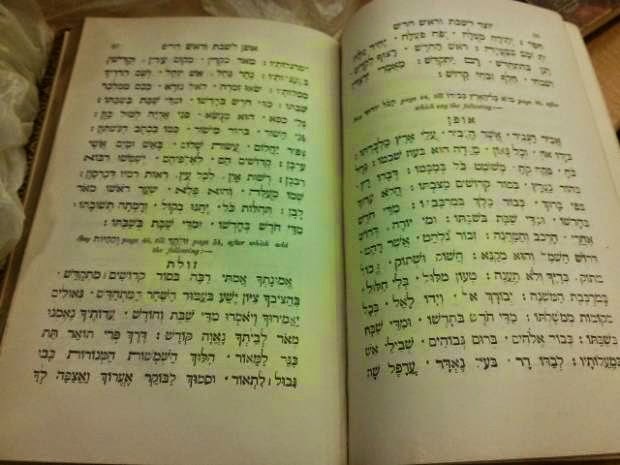 2) This is definitely the minhag of KAJ-WH. However, as far as I understand, this is not a universal custom and I don't believe that R' Hamburger's schuls recite them (I will inquire since I am not sure). 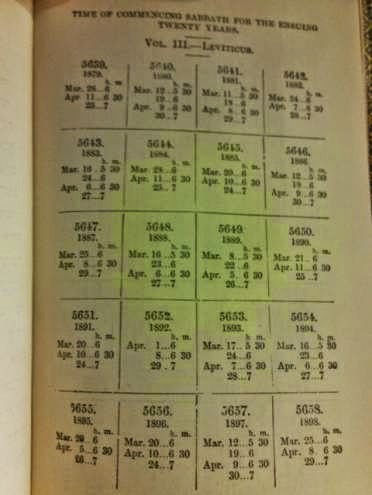 Even my siddur which has these mizmorim introduces it with "yesh nohagim lomar..." (R' Hofmeister siddur from Austria). 3) As I understand it, the addition of these pesukim in Western Ashkenaz was not by any means universal and is not in accord with the older texts of aleinu. I would refer to Yerushaseinu volume 3, "Kaddish after Aleinu According to Minhag Ashkenaz" by R' Shlomo Chaim Oman (Uman?). KAJ does it l'dovid boruch, as well as many other "old-school" shuls in NYC. In Israel, they do it Erlau in Katamon, and in other places (including some minyonim in the Gr"a in Shaarei Chesed, they sing just l'menatzech b'neginos. I did not mention this because this siddur does not contain maariv for motza"sh at all. I have noticed that the English custom differs slightly in terms of the variant forms used on special Shabbatot. According to my ancestral custom (Frankfurt a.M.), before the zulat, not only do we say the shortened version of על הרישונים, but we also say a version a separate version of אמת ויציב, which I will include below for the benefit of those who wish to compare the liturgical variants. I mentioned this in footnote 15, but Minhag Frankfurt AM is Western Ashkenaz, and this book is Eastern Ashkenaz. 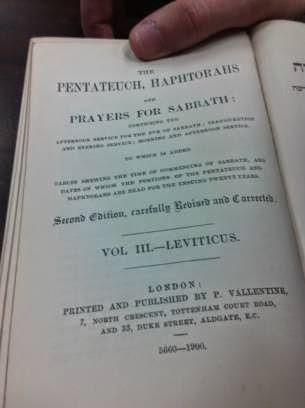 1) The correct link in footnote 1 is http://www.worldcat.org/title/pentateuch-haphtorahs-and-prayers-for-sabbath-to-which-is-added-tables-shewing-the-time-of-commencing-sabbath-and-dates-on-which-the-portions-of-the-pentateuch-and-haphtorahs-are-read-for-the-ensuing-twenty-years/oclc/234113235/editions?referer=di&editionsView=true. 2) Apparently, the main shul in Butapest recites most, if not all Eastern piyutim, including Ahavo piyutim. I am still curious about other communities.